Here you will find patient information including our patient forms, patient insurance plans and payment plans. We’d like to welcome you to our office! We look forward to meeting you and providing you with the highest level of dental care! For your convenience, below you will find our New Patient Health History Packets for both adults and children. As we know your time is valuable, these can be downloaded at your convenience to print and fill out in preparation for your first visit. As always, if you have any questions, please call us at (619) 466-4544. We understand that in these economic times necessary dental treatment may not always fit into your budget. Therefore, we are proud to offer a variety of financing plans that are budget-friendly, no-interest plans which allow you the freedom and flexibility to take care of your treatment today! If you have any questions about your dental insurance coverage, please call us and we will be happy to help you! I came in to Dr. Pawl for my cleaning and he asked me how I would rate my smile. I told him that I’ve had this smile for so long and I’m too old to change it!! I was interested in lightening, which I did. I was surprised what a difference it made in my smile so the next time I saw Dr. Pawl I asked him to explain more about veneers. My front teeth were worn down and I had a gap between my two front teeth. Dr. Pawl had his lab make a model of what my new smile would look like and I loved what I saw!! The next thing I said was “When can we start?! 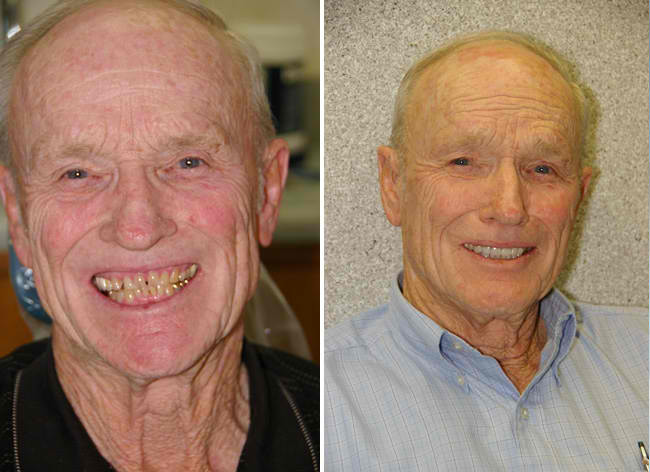 ?” Two weeks later I had my amazing new smile! I would recommend Dr. Pawl and his team to anyone! Dr. Pawl and his staff look forward to meeting you and your family. It’s our highest goal to provide you with quality dental care in an environment that puts your comfort first. We offer a full spectrum of restorative and cosmetic dental services. Call us today for an appointment. We look forward to exceeding your expectations!